Here’s a special case for the Brexit discussions on the single market. The Republic of Ireland is, and remains, a member of the European Union. Northern Ireland is and remains a part of the UK. 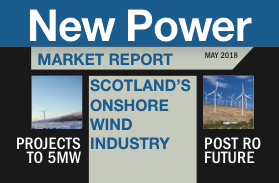 Each has an electricity market (NB NI’s market is connected to , but separate from, the GB electricity market that covers England, Scotland and Wales). They are operated jointly as a Single Electricity Market. Both are part of the EU’s dream of an Internal Energy Market (IEM) with power and gas traded across the bloc (and so, at the moment, is the GB market). So far so efficient, sharing power between areas with different resources and demands. On the face of it, the SEM across the island of Ireland can continue in its current form. Trading between neighbouring countries is quite well established, they are directly connected with a common trading platform and the market already has some established rules. There may be tariffs at the border but they are likely to be set at zero. Perhaps more interesting is the Republic of Ireland’s (RoI’s) ability to trade in the IEM (and other Member States’ ability to trade in the RoI). The RoI market is not directly connected to continental Europe. All current interconnectors pass through the GB market – either directly or via the Northern Ireland market. Of course, it’s possible for Irish parties to buy and sell power in the IEM. But the power will flow across the border into the GB market and then across another border into the rest of the IEM. It’s a special case of the single market problem. The trades may be tariff-free and maybe it can remain more or less frictionless, if the GB market remains in the IEM (although I am sure it will provide some interesting times for contract lawyers). But what courts have jurisdiction – the UK’s sticking point? And will parties in the Republic of Ireland and in the rest of the EU really have frictionless access to each other’s markets if they have to corridor through a GB market that could begin to diverge from IEM structures and regulations? It has to be said that the EU puts a lot of effort into the IEM market – physical links as well as market structures – and backs it up with hard cash. It has recommended minimum levels of interconnection between countries to free-up trades across borders and it has identified the most important as Projects of Common Interest to all EU members (in fact, that list includes some national upgrades). For those projects – including some of the UK’s interconnectors and some network inside the UK, often around where interconnectors land – it tries to speed up the admin and it makes funding available. That may be grants from the Connecting Europe Facility, which has a call for proposals open now (https://ec.europa.eu/inea/en/news-events/events/2018-cef-energy-virtual-info-day)or loans from the European Investment Bank. One particular project – the Celtic Interconnector – begins to look like a very important. It is not due to start up until 2025, but it will link the RoI market directly to France.